Family and Corporate-friendly interactive comedy juggling in the greater Seattle area. 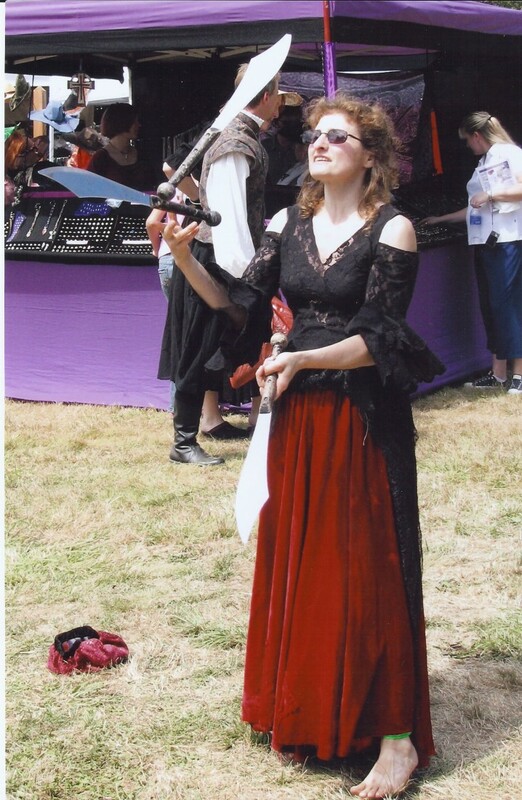 Adria tailors her act for the audience and venue, regularly performing at everything from church functions and corporate events to Renaissance Faires and private parties. She has been recognized on both coasts as one of the best knife jugglers, while her rubber chickens... and their jokes... continue to be a crowd favorite. Adria arrived early and helped set up for the event and got to know some of the performers a bit, which really added to the quality of the show. She was funny, creative and talented. She was a little confused about the GigSalad payment system, but hopefully everything worked out! Thank you, Adria!! Adria was perfect for my party..she juggled and was very funny while performing and interacting with the party goers. Thank you for your sparkling review, Shelley! Your party attendees were an amazing group of people. Thank you for hiring me for your event. Please remind Craig to practice with oranges every day! Adria was great to work with and adapted easily to our needs. Thank you so much Chris. Your event was great. Your community was phenomenal. I really felt the love when I was there; believe me, it was mutual. Nearly 100% audience interactive comedy juggling. Juggling Shows. Walk Around Juggling. , Bouts of Comedy. Juggling lessons. Sharp things. Really, really sharp things. Props include (but are not limited to): Diabolos (Chinese yo-yo's), rings, beanbags, clubs, rubber chickens, razer-sharp-toilet-plungers-of-mass-destruction, knives, axes, bad puns. Lots and lots of bad puns. Proudly on record for giving away the WORST "prizes" to those brave enough to "volunteer" in the show. Also, corporate team building exercises. No prizes for these. Adria Moskowitz aka Adria the Juggler is a Pacific Northwest entertainer specializing in family oriented, audience interactive, comedy juggling. 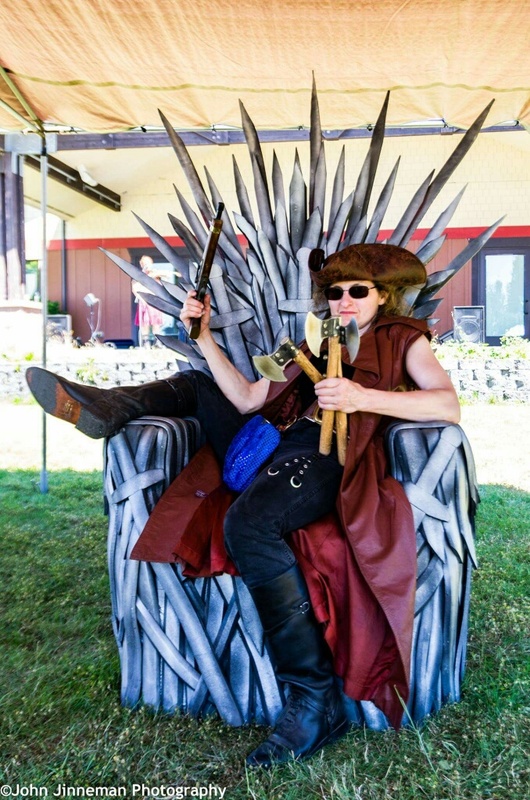 She travels the Northwest appearing at private parties, corporate events, Renaissance faires and festivals. Adria performs shows, provides instruction and team building activities. Private, community, public and corporate bookings available. Adria is a world famous knife juggler who brings the fun of juggling and laughter to you with her audience interactive comedy juggling. She has been classically trained in theatre, stage performance, multiple person body balancing and various forms of object manipulation. She has been in movies, commercials and television shows nation-wide. With light-hearted whimsy, she mixes education and history into her comedy juggling in a way that audiences of all ages respond favorably (and loudly). Her material is strictly family-oriented, unless specifically requested by the venue. Parents are guaranteed to approve of the Public Health messages of the prizes. She has mastered the art of giving audience members a voice to be part of the show, even if they don’t know their lines. She removes that “invisible 4th wall” and welcomes visitors to be part of the venue and feel more at home. Technical need per appropriate venue: a cordless microphone and speaker system.